But smart-meter-equipped utilities are faced with an even bigger challenge: integrating that network into an entire enterprise worth of IT systems, and making the entire mash-up useable and comprehensible to the people who run it. That’s the next stage of the smart grid evolution, and the focus of AMI vendors, IT giants and stalwart startups around the world, each promising its own blend of technology and talent to make it all work. Enter Bit Stew Systems, a quiet Canadian startup that’s been working behind the scenes since 2011 to help hometown utility BC Hydro deploy and manage its own 2-million-meter AMI network. On Thursday, the Vancouver, B.C.-based company announced its first round of outside funding, raising an undisclosed amount from VC firm Yaletown Venture Partners, as well as key strategic investor and long-time partner Cisco Systems. Founded in 2005, Bit Stew has a string of partners for its “integrated, real-time network solutions” software, including BC Hydro AMI partner Cisco, meter data management vendor Harris Utilities SmartWorks, and systems integrators Capgemini and Wipro. Among its 35 customers are utilities including Michigan’s Consumers Energy, Australia’s SP AusNet, and two large California utilities set to announce its production-scale pilot with the startup in the coming months, Kevin Collins, CEO and co-founder, said in an interview last week. Since proving itself with BC Hydro, Bit Stew has grown to profitability on “quite healthy revenues,” he said, though he wouldn’t disclose financial figures for the company. Its new funding is aimed at expanding to new markets and utility sectors, as well as supporting the latest version of its software, Grid Director. 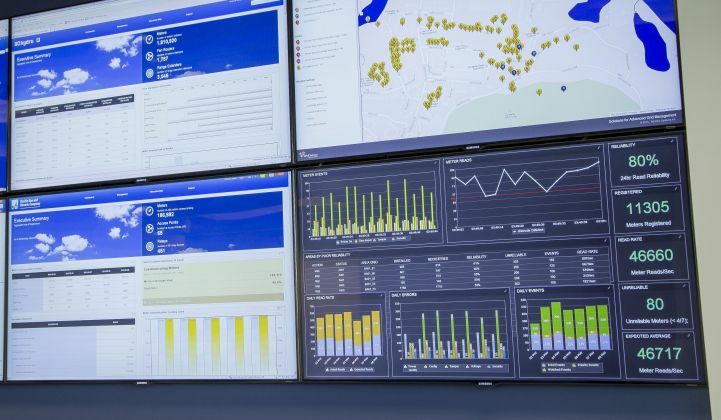 Collins described Grid Director “an operations management system” for an AMI network, translating multiple operating parameters into dashboards and GIS map interfaces in real time. 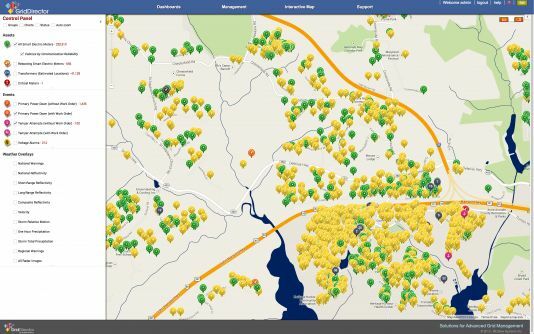 Beyond that, Grid Director merges data from multiple utility systems: “We have the ability to aggregate the information from their GIS system, their work order system, their customer information system -- from multiple head-ends, not just one head-end -- and translate it into one dashboard,” he said. That goes beyond the element management systems provided by AMI vendors to run their own devices, he said. It’s also a different approach than that taken by network management systems such as those from GridMaven, Proximetry Networks and others aiming to monitor and optimize the functioning of multi-device, multi-network systems, he said. So how does Bit Stew plan to manage that challenge? Here’s an overview. "The biggest challenge everyone has is integration -- and we needed to make that problem go away, to get our tentacles into every system there was,” Collins said. After refocusing itself on the utility industry in 2008, Bit Stew got its first chance with BC Hydro, which hired the startup to help manage its initial deployment of smart meters in 2011. That deployment involved four different work order systems from SAP, Ventyx, mobile workforce management vendor Clevest, and a Microsoft solution customized by the utility, he said. It also required integration into a General Electric GIS system, a customer information system (CIS) from SAP, and two different asset management systems from SAP and Ventyx, he said. That deployment began in May 2011 and was up and running in full production mode by July 4, when the utility installed its first Itron smart meter, he said. That’s very fast for such large-scale deployments. Bit Stew’s integration went beyond speed, however, said Kai Hui, the startup’s CTO. Before joining Bit Stew, Hui was technology director of BC Hydro’s smart meter infrastructure project, and chose it to help manage the full-scale AMI deployment based on some key additions it brought to the traditional “deployment reporting” process used in most large-scale utility rollouts. For example, instead of extracting operational data from the AMI vendor head-end system, loading it into a SQL database, and running spreadsheets on it the day after, “We could display on a map meters that had work orders associated with them, legacy meters, meters that were already communicating, and those which had passed certain milestones to begin billing,” he said. Collins described Bit Stew’s data collection and interpretation technology as applying the “concept of what we call 'information signatures,'” which can identify and track sources of data from file-based, web-based or legacy systems so that “even if they change their source systems, we don’t have to change our signatures.” The idea is to create an automated, yet adaptable, data collection process that can continue to pull in and integrate data in as close to real time as the underlying systems are capable, he said. That’s important for keeping up with changes to individual parts of the system that can throw the networked whole out of whack, Hui noted. “To know what state that system is in, it’s very complex. Even a meter has multiple firmware versions, a communications firmware, a metrology firmware, and applications processing firmware,” he said. “You’ve got to know where they all are, and upstream, [know] what versions of codes are running in each node router. [...] What patch level I am running on my server, and [whether there] are security issues” that arise as one change in one vendor system open potential holes in the rest, he said. In other words, “What that allows us to do is provide the contextual view of operations for the utility. That’s a key concept, and one of the huge value propositions,” he said. 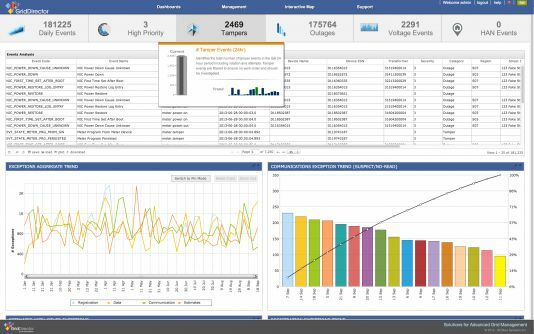 Grid Director 3.3, released in January 2013, brings in several new “advanced grid management” features, Collins said, based on an “underlying expert system technology” that creates an ever-expanding set of rules for how the systems it’s integrating and overseeing should work. That gives Bit Stew a number of real-time features of value to the people operating the system, Hui said. One is filtering the alerts and alarms that come from different devices in an integrated system, which may be based on real emergencies -- or may be artifacts of one part of the system misidentifying a problem, and passing on a false alarm. In the ultimate view, the idea is to “let the system do the work for you, and let the human operator do more of the high-value work," he said. "The rules engine is really critical for that -- it can capture and collect the knowledge coming into it.” For utilities facing the retirement of their most experienced workers and managers and struggling to find tech-savvy talent to fill their ranks, that’s a value in and of itself, he noted. 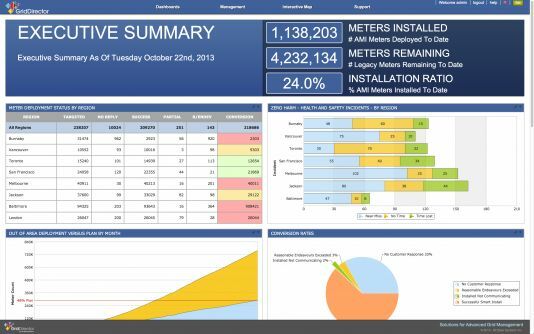 As for how these rules can be created and customized for individual utility clients, Bit Stew plans to release a new 4.0 version of Grid Director at January’s DistribuTECH conference, which “exposes that ability to create a rule to the operator,” rather than a software developer, he said. As for what’s on Bit Stew’s roadmap, Collins described projects that could help utilities use their AMI systems for grid-edge functions. One project involves crunching data to assess the status of distribution circuits that are on the cusp of requiring renovation, he said. On the distributed generation side, “we’re looking at starting a big pilot” in a Southwestern state to monitor the effects of two-way power flows from rooftop solar systems on distribution circuits, he said. “We’ve also done a lot of work trying to qualify the value of demand response,” he said, specifically to enable smart meters to connect to devices in the home via their home area networks (HANs). Making sure that in-home devices are receiving and reacting to utility signals will be critical for making them reliable utility assets -- and “we know from trials that you can see anywhere from a 30 percent to 40 percent failure rate in getting that message from the meter to the end devices,” he said. Bit Stew will be playing a supporting role in all these cases, making its partners a critical path to putting its technology to the test. On that front, it will be interesting to watch how its Cisco partnership leads to opportunities. Collins noted that Grid Director is playing a role in Cisco’s network management system, and he mentioned Bit Stew's relationship with Cisco partner Alstom as a “surgical demand response” provider that could make use of its capabilities. Finally, Bit Stew is working on “ROI models” that could enumerate its various operational advantages for the financial analyses and rate cases that utilities will increasingly be asked to provide to prove the benefits of their smart grid spending plans, COO Bill Reny said. “If you modernize not just the grid itself, but also modernize the way you think about it and manage it, then you can actually derive these benefits and generate return to those stakeholders,” he said. After all, proving the technical capabilities of smart meters and other grid technologies is only one step toward tackling the economic and regulatory disruptions they’re bringing to the utility industry.